One of our candidates for our pictorial projects told me two weeks ago, that she would need to start billing for hours on prep and business meetings. At first this made me upset, but as I look at it, I'm getting into the groove of doing the same thing. My patience and and ability to maintain, my civility on just waiting on people that don't step up or just delay me in doing what I do for our organizations is dwindling down to a nub . Take yesterday, the fix it people here at the Wentworth, said they'd be over yesterday afternoon to repair the valve on my bath tub. Did not show. Something to do with tools that vanished with the departure of two other fix it people here. Okay that's fine. Sure we all get in a slump of the, I don't give a mules rear if I do anything or not. But that's excusable as I know that eventually the task will get done, however there are others who have kept me delayed saying they were ambitious on being involved in our media operations. Sure one had the passing of a dear friend so that can be overlooked, however over the last 3 and a half years, from Becky whatsherovaries, to another Becky, to others, people say , "oh I'll be there for sure" Like Sid from over at the Pilot or a few others. Yet no courtesy phone call, no email no nothing saying, Don't want to do this or that, or not interested, or at least something. 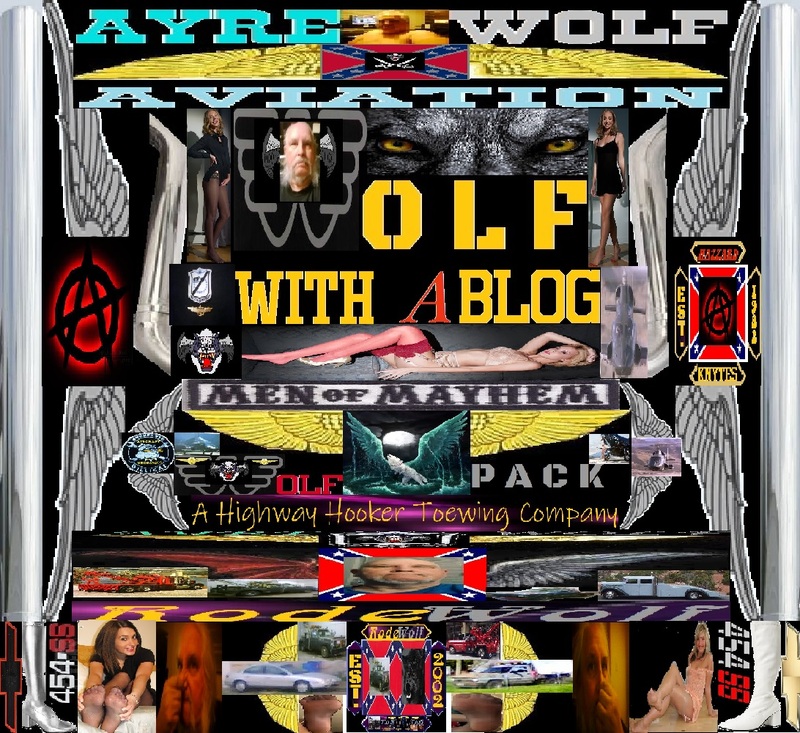 Meanwhile my shop gets ignored, my toew truck LexiBelle and LiL Wolf gets ignored I loose money waiting on no shows. In trucking, if you wait to load or unload at a dock its called Dentention time, you albeit not much but you get that time added to the freight bill. If you miss a doctors appointment and don't call the Doctor bills you for that time, same goes for an attorney. As for me, if these ladies who get all flustered and want to work for the Knytes say their going to be here to interview for a project, or be on air talent, don't show, I'm going to bill them for the time. At least that way I can pay the rent on my shop and my own expenses. Now then, on the honeys that have stepped up, hell the one honey that stepped up, moved all the way up here to Evanston, Wyoming to be my second seat here at HazzardAyre Radio. On just a phone call and one interview visit here she came. That would have worked better if I could go sell ad time for it, but thing is online or as I call it Cyber Radio, is not yet quite understood by the older none techie crowd. But Codi, did show repaired in an hour a laptop computer that perplexed a local Computer store here(P.C. Innovations) That had my laptop for nearly 3 months a year ago this time of year. I missed many business meetings that cost me money since no laptop. Granted they never charged me, but why hold my equipment when the idiots had no idea what they were doing? Plus wanted to charge outragious money to fix. As I close for now, if your not going to step up for the Knytes, don't promise in the first place. Okay one final thought. Sunday going to Church was a very enjoyable experience, mostly because of one young lady missionary, who befriended me, and I will always remember. When it was announced she would be going elsewhere, I barked , "Ah darn it" but since she taught the Sunday School class I was in, I stayed, and only because she and her missionary companion was teaching. Although it was obvious she was a bit out of her experience, she still stepped up, and got the job done, this young lady has a place in Confederate Steele Media any time she wants it. Then after meeting with Mark our Bishop, on the way out, I told her that it would be appreciated, if she stopped by before she departed. Even though I didn't think really she would, yesterday evening she and her companion did in fact stop by to say adios. I hope not as I'd really like to see her again./ Not in a romantic he/she way, but as one young lady who is and will go a very long way into prosperity and who has earned my respect.